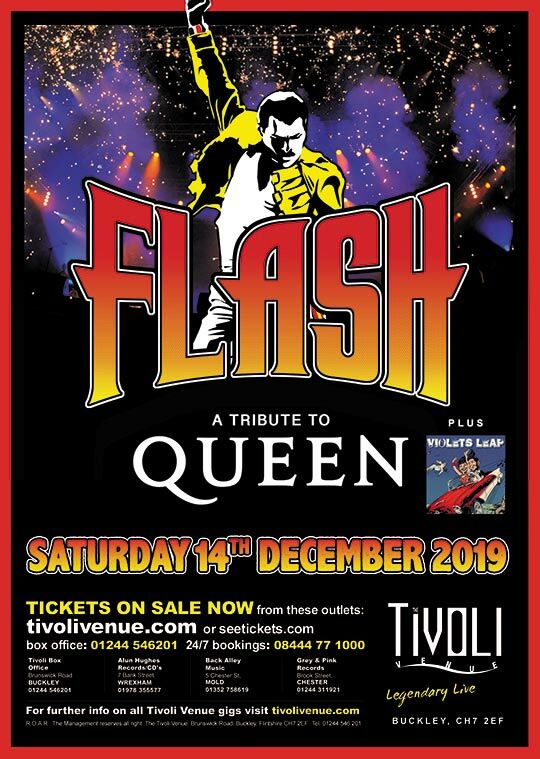 Celebrate the musical legacy of Freddie Mercury and QUEEN with hit after hit, anthem after anthem from Flash : A Tribute to QUEEN. Including such hits as ‘Under Pressure’, ‘A Kind of Magic’, ‘Radio Ga Ga’, ‘I Want to Break Free’ and the mini rock opera that is ‘Bohemian Rhapsody’, FLASH perform live with identical instruments and in authentic costumes on a huge stage set with visuals and effects to bring back that grandeur and magic that made Queen live performances so very special. A must for any music fan who appreciates the wonderful work of Freddie and Queen.